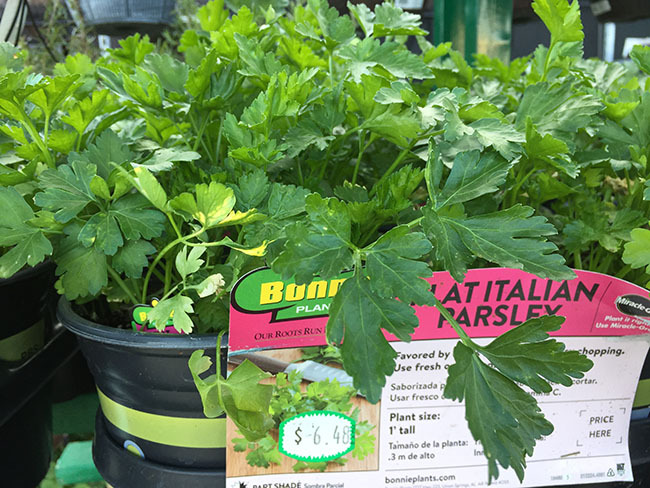 Parsley varieties, such as these seed-raised varieties (from Johnny's) outperform any un-named generic variety bought at a nursery or garden center. It's time to elevate your parsley variety choices. There is much more to parlsey than just 'Flat Leaf Italian' and 'Curly' - which arent even varieties, by the way. 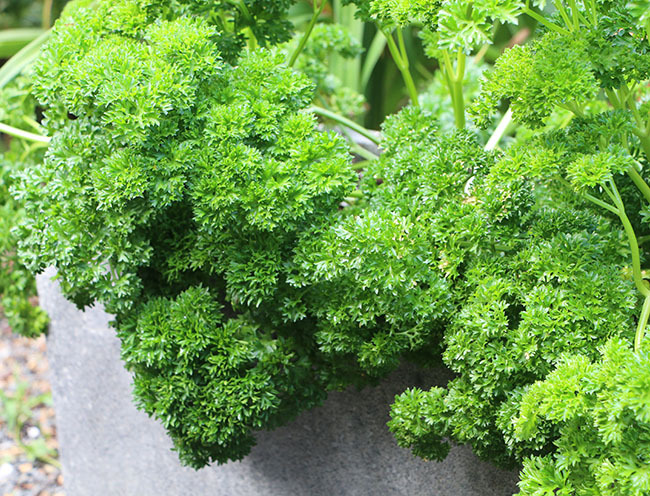 Are you suffering from parsley that keeps bolting in mid-summer? Does cutting this flower stalk off really encourage new growth? Are you finding that the cilantro at the farmers market or super market is just better than any you've grown at home? Are you sensing that your cilantro just always tastes more soapy than store bought? Have you given up on growing fennel bulbs because honestly - they ones you grow are just too tough, small and woody - or they bloom? You are not alone. All of these plants share some similar (and different) challenges. The plant family Apiaceae (formerlly the umbelliferaceae) or the carrot family is notoriously difficult to master and these are all within this carrot family. 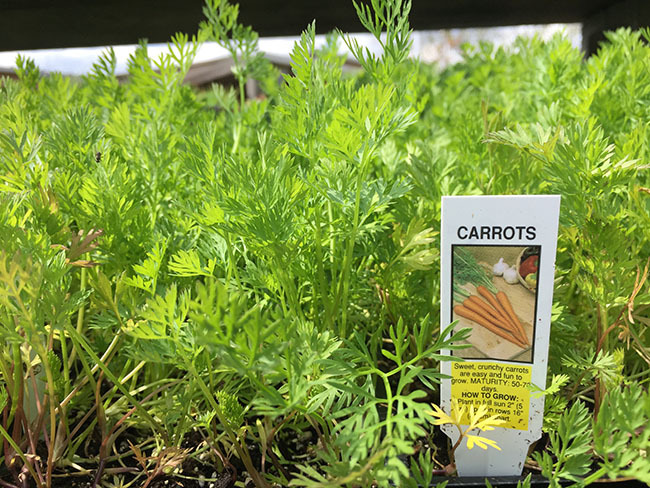 Carrots of course have their challenges too, but they are more forgiving of things like temperature and when you sow them, which is where many of us are mislead when it comes to other apiaceae. To top-line any advice here - skip buying your parsley as seedlings or young plants, start them at home and keep them warm until you plant your tomatoes (you'll see why later), and as for notoriously hard-to-grow fennel, sow seed directly into the garden as you would dill - enver transplant, and try growing it later in the season as a fall crop. Celery is honestly the most difficult vegetable to grow well (at least as well as store bought), but you can get close - it just takes some work and lots of fertilizer. Starting with parsley, if you've noticed like us that your parsley isnt surviving the winter as it once used to, or that it now seems to bolt much sooner, you are like us. We started noticing this a few years ago but just thought that it was something due to drought or heat. I never though that it was something so easy to cure that I could have done it myself. The trick here is to start your own plants at home from seed, and to keep them warm - really. 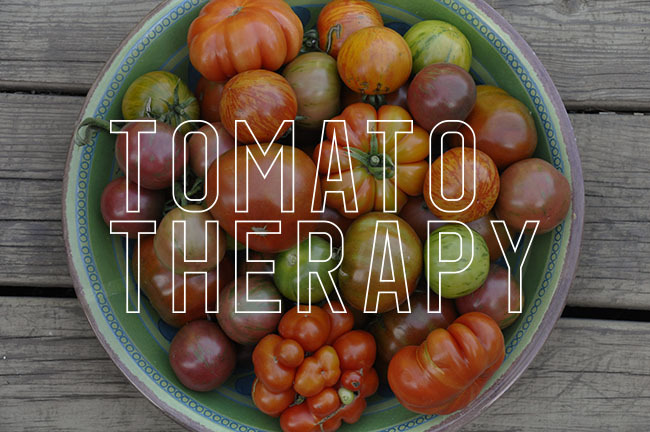 At least until you plant your tomatoes. Today, I dont even grow my parsley in the greenhouse until I know that it stays above 60 degrees, and it along with celery is often the last crop that I set outdoors -but why? If you cant tell already - I really love parsley, dill and cilantro. If I had to reduce my garden down to just a few raised beds, it would most likely start and end with these herbs because they are something I buy each week in the winter, and sometimes even in the summer -always on the shopping list. We are crazy cooks and it's not uncommon for me to need 4-6 cups of parsley in a recipie at one time, Rows of these herbs here are long, often 10 foot rows which shock those who don't cook, but really - one taboulli recipie or an Persian rice dish can use many cups of fresh herbs. 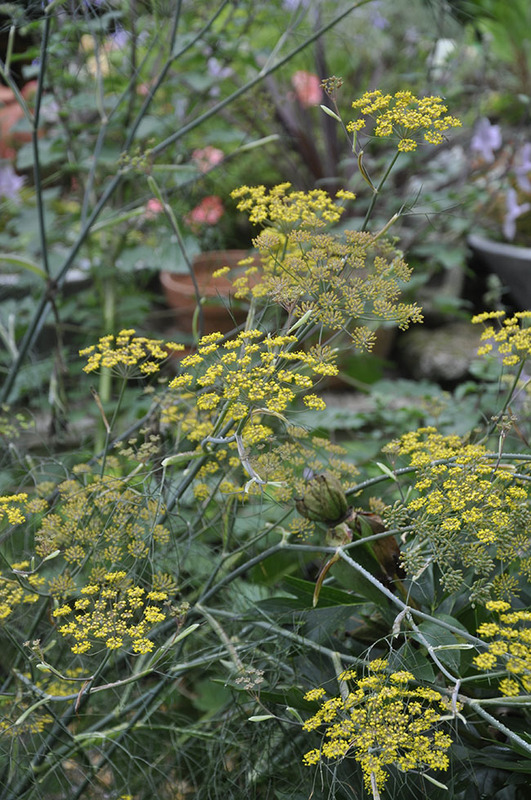 Fennel is related to parsley, celery and dill but it too is challenging to grow really well. If I had to share one tip, it would be to never transplant seedlings that one might find in the spring for sale. The best fennel comes from seed that is direct-sown in late June, thinned carefully and allowed to mature in late summer and fall. Cilantro, dill and fennel, along with parsley are all in the family once known as the umbellifers but which now is called Apiaceae, or the carrot family. 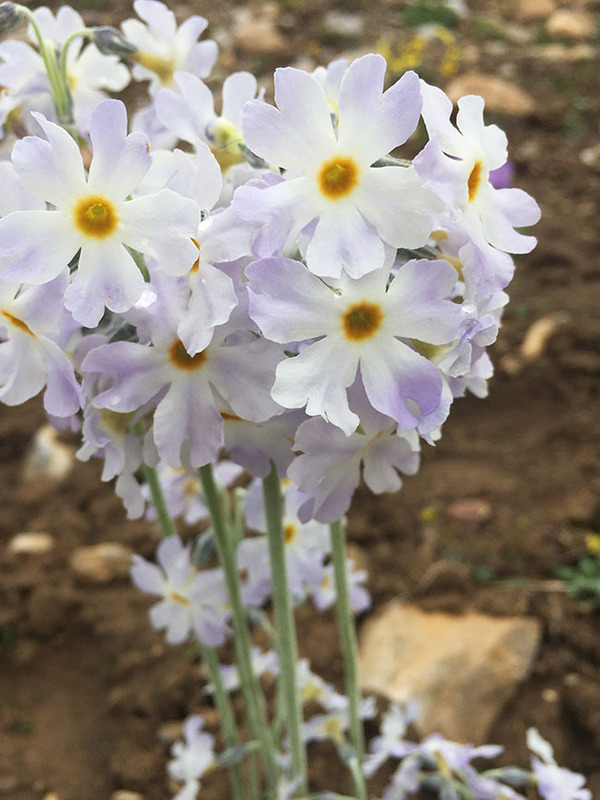 Biennial (these grow for a year, then bloom in the second year), the family shares some challenges which relate to germination stubborness and an overall intollerance for root disturbance becasue they are tap-rooted plants. Direct sowing is always best as this is how they grow in the wild, and as we know with carrots and parsnips, the roots are rather important. With those where we eat the upper portions of the plant, we rarely think about root disturbance, and while parsley and celery can handle some transplanting when very young seedlings, by the time they are sold as transplants, they should never be torn apart from a container. Unfortunately, growers often sown enitre pinches of parsley seed in a pot today, to make a full-looking container, so it's becomeing harder and harder to find single plants in pots. Not all garden centers are bad, for many sell very fine plants but it will help you to know what to look for when buying any plant or start when it's an apiaceae plant. Shortcut? Sure. a. Sow seed directly into the soil of fennel, carrots, cilantro, caraway and dill. b. 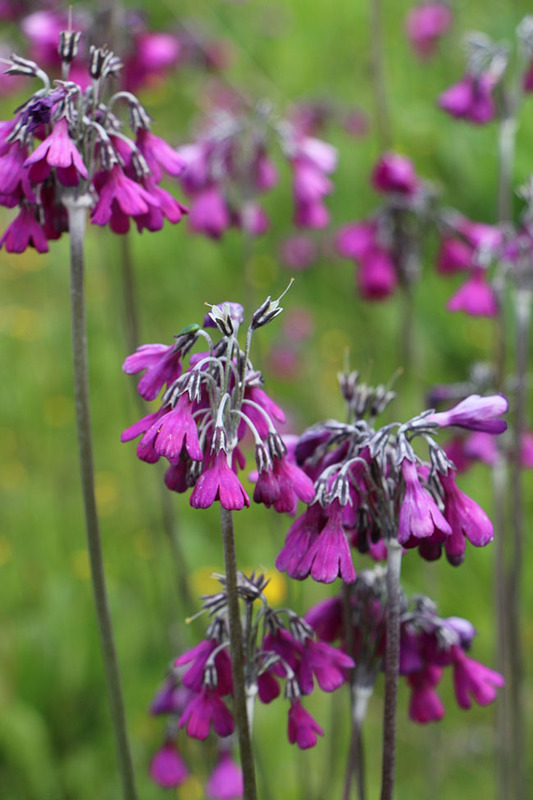 Sow them thinly or well-spaced, and simply thin when it emerges - never transplant. c Know that exposure to cold weather early spells doom for celery and parsley. I know - we think of these as cold tolerant crops, but cold affects these plants in a different way when young. Unless you know your nursery grower well and they can assure you that their young were kept warm until the weather fully warmed (and didnt display them outside along with pansies with snow-flurries happening), then go for the youngest seedlings in individual pots. Avoid larger plants. Very young plants are less likely to bolt from exposure to cold, but I'm talking 1 inch tall seedlings, and that isnt what we often find today in 6 packs and pots. d. Better yet - start your parsley and celery at home, early in late winter. e. Grow cilantro from seed, successively sown every few weeks but skip growing it in the hot summer months. 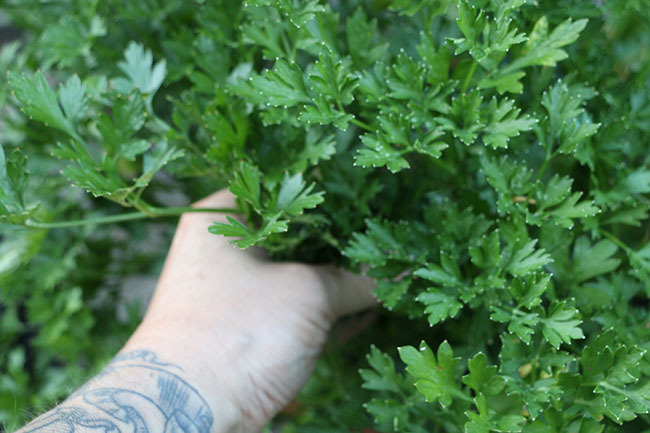 Cilantro prefers cooler temps, and will taste soapy if the weather is hot (over 80 degrees). You best crop will come just before frost - really. Oh. And never, ever buy cilantro plants from a garden center, as this is just a waste of money. They won't grow into anything more, and will bloom within a few weeks, thus ending their life cycle. Cilantro has a 30 day life cycle from seed. 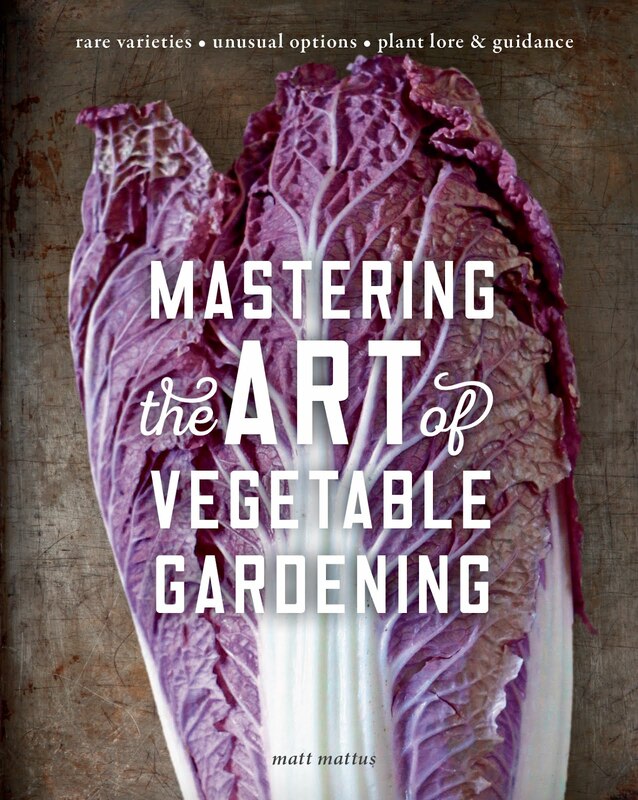 I go into the details for all of these crops in my upcomming book Mastering the Art of Vegetable Gardening, but I want to share bits and pieces here to help you this year and in planning next years' garden. Cilantro is the easiest to master, but you may not like what you are going to read. Parsley does best not in hot weather but in cool, autumn weather. The good news is now is the time to sow cilantro (most commercial cilantro is grown in northern California and the Pacific Northwest. So, those posts about planting a salsa garden where tomatoes, chili'sand cilantro all grow together? Forget about it. Cilantro can be grown all summer long if you are prepared to sow seed every two weeks and if you can keep it cool and growing stress free with consistant irrigation and if you can offer it some shade during the hottest weather. It will taste more soapy if grown in temperatures above 80 degrees however. Cilantro sown in September will last until frost however, often becoming better as the weather gets colder. Asfor spring plantings, it germinates poorly in cold soil and it doesnt transplant well. Above all, never, ever buy seedlings of cilantro from a nursery. 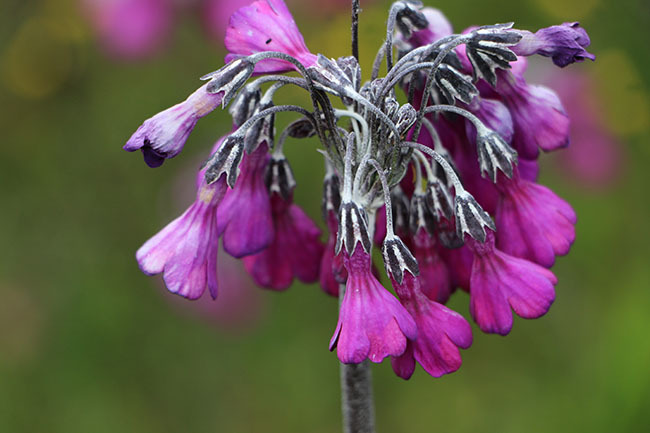 It's a waste of money and time as they are all too mature and will bloom, go to seed and die within a few weeks. Only buy a pot if you are going to use it in the kitchen within a week, but be wary of nursery sold transplants as they may have been treated with insecticide, growth regulators (drifted over from nearby tomatoes and peppers) or carelessly grown. Cilantro is grown best with seed that is direct sown, even in containers where it does very well. I reccomend buying a large volume of seed, as cilantro is a quick crop, even quicker if sown in the summer. Plan on sowing it every two weeks in high summer, or every four weeks in cool weather, and pick it before it sets flowers or the flavor will change. If flowers do form, you can save the seeds which are the spice Coriander. Fresh green coriander seeds have their use in the kitchen in pickles or you can use the roots as well in may Asian dishes. 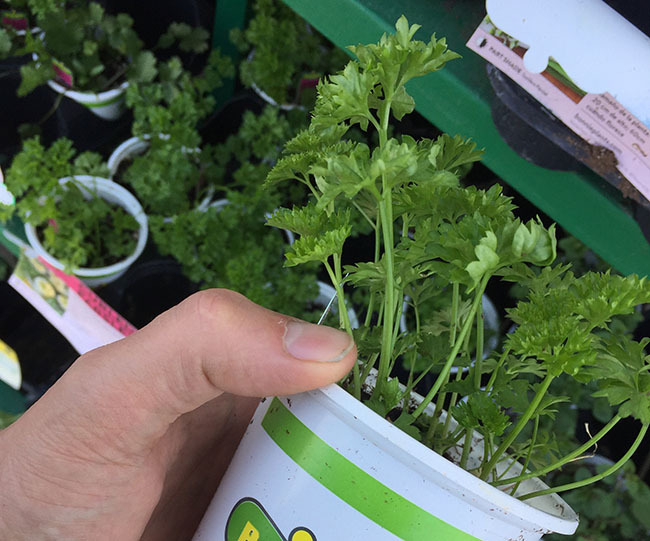 To be totally honest, I sometimes start my parsley from seed and in other years I just buy parsley plants from the garden center. I also really didnt put much thought into what variety I was buying beyond the basics - Flat Leaf Italian or a curly parsley, usually I grew both - just assuming that there were only two types. It's not that parsley isnt important around here, because it is. We like to cook and we use tons of parsley during the summer and autumn. We even used to dig some plants in the late autumn and brought them into a cool unheated room or under a bench in the greehouse just to extent the season incase the snow became too deep. You see, there was a time when parsley would last through the winter here and usually offer a secondary crop in early spring before new plants could be planted. Lately however, our parsley seems to bolt and go to seed in mid-summer during it's first year, and while it took me a few years to really notice it, I know know why this happens. If this is happening to you, I have some reasons why that might change how you grow parsley, or at the very least - how you buy parsley. Here's the problem, and it's a rather new one. I don't want to blame big box stores or garden centers at not all of them do this, but this is a real problem and I just cant think of another way to address it. 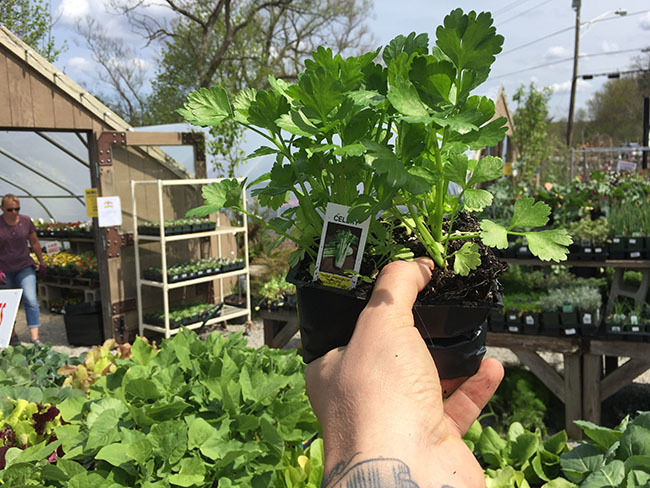 While there are many sins that occcur once plant arrive at a garden center, a common one is this: Parsley is sold too early in the spring, or it sold at too large a size (too mature), as well as parsley that is now sold like many other herbs, in 4 inch pots where many seeds have been sown. I guess with the assumption that a consumer will buy a pot with lots of seedlings (perceived value) beleiveing that it is a larger plant. Any attempt to divide a crowded pot of parsley seedlings is futile. The plants will grow a bit, but like all plants in apiaceae, they will suffer and the stress will most likely cause them to bolt or bloom too early. The greatest error we can make with seedlings or young plants of certain plants within apiaceae is the size of the seedlings when we transplant it, or when we sow the seed outside (as with fennel, which rarely transplants well). I won't lie, home raised celery is tough to grow. More often than not it ends up being woody, pithy and bitter, or it just bolts and blooms - it never looks like supermarket celery. The truth is celery has specific requirements which makes it easier to grow in certain parts of the country (Utah, Northern California and Oregon) but great parsley is grown elsewhere on farms. It demands such high fertility and moisture that few home gardeners are comfortable using these levels at home. I skip pesticides but use liquid (blue-water soluable feed weekly) which I am totally OK with because the pesticide levels used commercially are incredibly high (remember - celery is a prime pollinator host plant in the wild.). What's tricky is what exactly affects flower initiation with these biennials, as it is often a combination of temperarure, night length and root disturbance or stress (no water) that brings on a metabolic response(responses to sugar production and photosyntheses within the cells) that often combine to trigger early blooming. Such flower initiation (or bolting) naturally would just happen in the second summer in their native habitat, but once we break that cycle and sow seeds in greenhouses and them truck them to garden centers in tiny cell containers, all sorts of mxed messages are sent to the plant. If seedlings are kept too cold in early spring, especially after a plant as reached a specific size or maturity (often measured by the number of leaves it has produced - combined with roots which may have encircled a tiny pot, or a few skipped waterings at the garden center, or an over-eager home gardener tearing apart a pot which might have a few young plants in it in an effor to save every one, and voila - the plant bolts. As far as the plant is concerned, it's summer again and because it's a biennial, it's time to produce seed and die. Celery, fennel and parsley all share this trait. They are particulary sensative to temperatures in the spring (exposure to temps below 40 degrees) which in the north is typically what hardy cold tolerant seedlings experience if they have been moved from a warm greenhouse too early and brought in a triuck to a garden center who might just display them outdoors. It's an innocent error I guess, but it's become such a common one that I can only assume that it happens because staff at these garden centers just don't know any better. It's not as if they were trained on the specifics of vernalization, all they know is they if plants don't freeze when night temps dip below freezing (like pansies) that they can survive just fine outside. Exposure to cold weather for parsley, celery and fennel is worse if one finds plants sold outside in larger sizes which is becoming more popular. A 1 gallon or a quart sized pot sold at a big box store will cost more, but as the biennial plant is larger, it most certainly will bloom that coming summer and not survive into the following year. While there is nothing wrong in buying a plant which is clearly more than 6 months old, consumers should be aware of both the benifits as well as the disadvantages. As for seedlings or smaller transplants, the safest way to avoid bolting during the first year is to be certain that the young plants have been kept in a warm greenhouse until outside temperatures stay above 55 degrees at night. Since many nurseries carry what we usually think of as 'cold tollerant crops' earlier and earlier but not choose to display them outside with the truly cold-tollerant plants like pansies, this bit of knowledge should help. These are smaller parsley seedlings, which will do much better if you can find them this size. Unfortunately there are more than 6 plants in this pot, and as parsley dislikes transplanting at this stage, look for pots with a single plant in them if you want parsley to last through the winter. At this same store I found both small and large plants, it just depends on how long you expect your plants to live. At least Bonnie Plants had named varieties. If you are a parsley fan, these tips may help you do even better with parsley. 1. Buy the youngest seedlings that you can find. Smaller is better. Five sets of leaves or larger and you risk inducing flowers after you plant it. 2. Ask the nursery or garden center if they have been kept warm (above 55 degrees at least) in a greenhouse. We all know that parsley is 'cold tollerant' but exposure to cold then extreme heat as one might experience with larger transplants at a nursery, and you risk inducing flowers via false vernalization (the plant thinks that it's experienced a mini-winter). 3. Plant parsley seedlings outside only when night temperatures remain above 55 degrees. If you see them sold along with pansies outside on racks, beware. Remember - if there were flurries that week even though the young plants won't freeze, the damage has been done internally. The same goes for celery and fennel by the way. The challenge here is that celery and parsley must be sown under-glass or indoors very early however, while fennel does best sown directly later in spring or early summer. So there is no way around buying or growing parsley or celery transplants. One cannot direct sow them in most parts of the country. 4. The variety you grow makes a huge difference. We rarely think about something as mundane as parsley varieties but in fact, but there are many varieties of parsley available from seed, so why limit yourself to generic varieties (those tags that just say 'PARSLEY')? And remember, 'Flat-Leaf' and 'Curly' are not varieties. (more on this below). 5. IF buying seedlings look for single plants - not clumps of plants in a pot, which is hard to do nowadays. While parsley transplants well with one pair of leaves, they resist transplants progressively as plants are older. It's all about root disturbance, which is difficult to do as you may know if you've tried to pry apart a 4 inch pot with a few plants in it. Root disturbance too can cause bolting by mid summer. 6. Better yet, start your own parsley seedlings. Perhaps the only way to have total control if you have concerns, but be prepared, parlsey can be a bit tricky to to germinate and seeds will need to be started early in the year - often in late winter. Seed sown around late January will help alieve anxious gardeners who might be eager to start something early indoors as if seems we all keep hearing to hold off on starting most anything else too early, parsley (and celery) fit the bill. Soak seed for a day or two, it's true- for a pre-treat with scalding water before sowing will increase success but seed will germinate without sowing as well, it just may be more irratic. Cover seed with 1/4 of vermiculite and cover tray with plastic wrap or a mini-greenhouse to increase humidity and keep tray near 70 degrees. Once seedlings emerge, you can find a slightly cooler location - 60 to 65 degree's is fine but no lower. Indoor conditions for both parsley and celery will call for artificial lights (16 hours a day), and LED ones are best. Seedlings will grow slowly, so should not take up much space, but they must be transplanted while still small into individual cells or 3-4 inch pots in which they should remain until the weather outside is warm enought to plant tomatoes. If you live in a milder part of the country (California, Georgia, etc) you can sow seed in autumn or directly outdoors in late winter with little worry of false vernalization, this is a unique problem in colder areas where spring temperature vary and where one must plant parsley starts because the growing season is too short. USDA Zones 7 and lower. Homegrown fennel needs slightly different conditions than it's kin parsley. Never buy seedlings or start it early in pots if you want to avoid woody, flat or small, bolting plants. Seed direct outside in early to mid summer for ideal bulbs and just thin seedlings, nevrrer transplant them. As with dill and carrots, it's a root-disturbance thing. 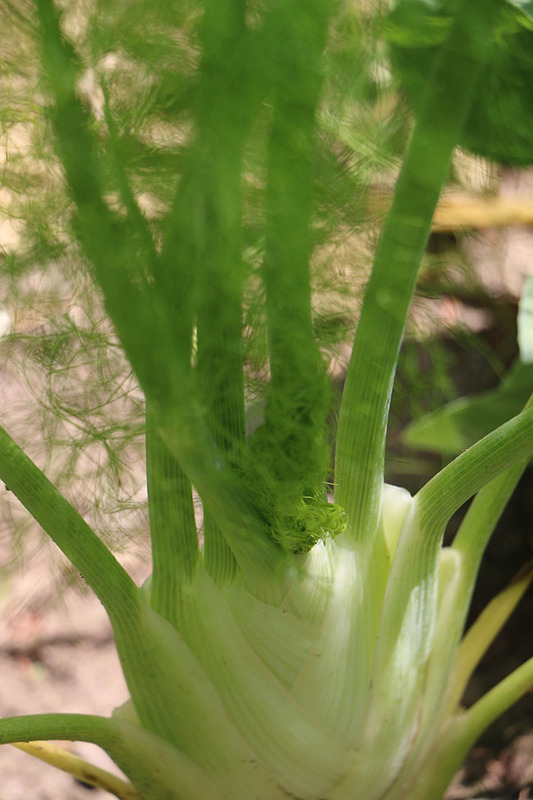 If grown well, home-raised fennel is infinately more tender, crispy and most of all healthier - really. 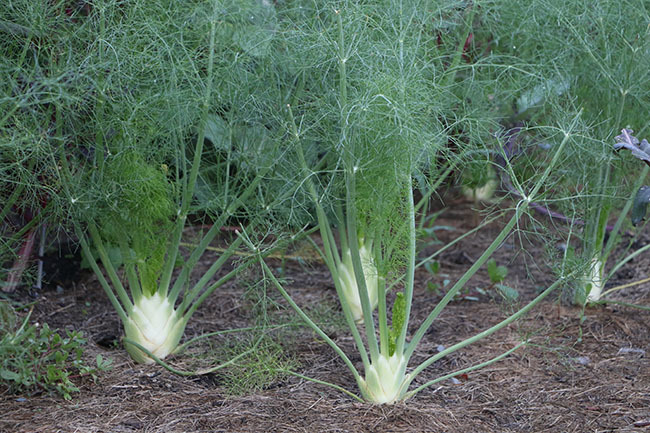 Fennel uses the highest levels of insecticide of all vegetables when grown as a commerical crop. As a side note - why bother with all this? Why attempt growing parsley, celery, fennel and other difficult to grow apiaceae (Umbellifer) crops if they are so challenging? Why not just grow tomatoes and zuchinni and buy everything else at the supermarket? Well, consider this. Parlsey, celery, fennel and even carrots use far more insecticides than you might imagine. While we often think of broccoli or cabbage as a high pesticide crop, nothing aside from apples come close to the amount of pesticides used on apiaceae crops. 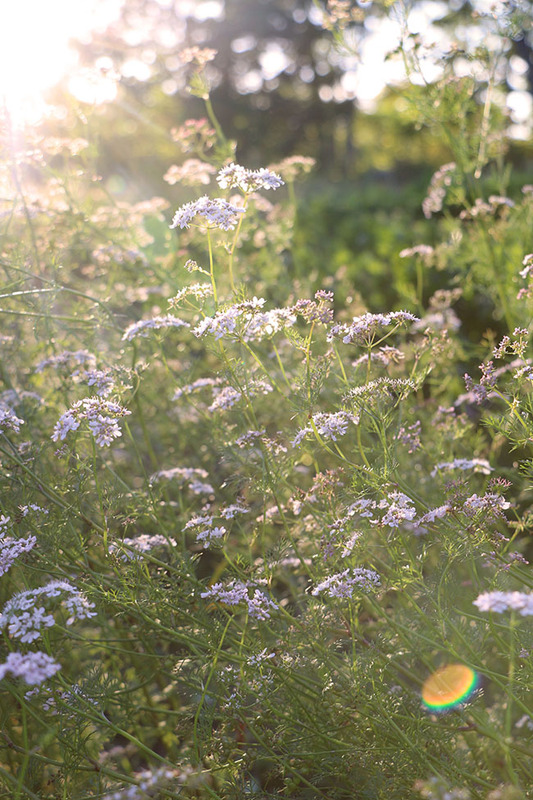 All of the Apiaceae(umbellifers) are great pollinator host plants. More lepidoptera larvare are attracted to the foliage as well as adults to the blossoms. If you plants bloom, just write off the lot as a polliantor garden. Why? Think about it...these are the ultimate pollinator crops, right? And while we home growers encourage or at least tollerate a few benificial caterpillars on our parsley and carrots, even a Black Swallowtail Butterfly larvae is the last thing a supermarket or market grower needs to find on their shelves. And few crops attract as many lepidoptera species as do plants within apiaceae. Some list more than 50 species on these host plants. When I insist on buying organic vs conventional (which honestly, isn't all the time) I begin first with organic celery, cilantro and parsley. Hands down. While at a local mom and pop nursery I found many cell pack with apiaceae crops which frankly should never be sold. These celery seedlings are healthy looking though and are at the perfect size for transplanting. I would just be cautious as they have been displayed outside, this was taken in April. Night temps still dipped into the 30's which will vernalize celery at this stage, inducing early flowering. If these were kept in the hoop house behind, I would have felt better taking a chance. NOTE:The generic label - It just says Celery. I'm OK with branded vareties as long as the buyer knows what they are getting. These plants were sold along side smaller parsley seedlings and they were properly labeled, but as larger one gallon containers, I might back up my planting with some younger plants as these will mature and bloom by mid-summer. Plan on using these larger plants for only the cool months of spring. Botanically speaking, parsley regardless of the variety is of the same genus and species - Petroselinum crispum. There are however two subspecies (or more accurately 'groups' or 'types') which we often see used as variety names. Know that 'flat-leaved' and 'curly' are not proper ways to reference parsley, nor are they varieties no matter what the other blogs and cooking sites will tell you. There are two sub-groups relate to these two leaf shapes - Crispus (curly-leaved types), and Neopolitanum (flat-leaved Italian types). There are dozens of named varieties, most of which fall into these two groups, but often they all offer unique charateristics. Some are best for commerical growers - to dry or to ship long distances, others for flavor or texture, and many just for their looks or performance in small pots at retail nurseries. I would hope that you want the best varieties for flavor or for cooking, and not ones that produce a nice 4 inch pot that fits on a shelf at a big box store or doesnt wilt while being shipped in a waxed box from California - unless of course you like the taste of moldy cardboard in your tabouli. At this same nursery I found this. Obviously avoid seedlings that have these generic labels (this goes for all veggies). These are low-cost value plant starts grown by a plug grower who doesnt care about variety or success in the garden, not to mention that one cannot divide and transplant carrots. Carrots must be sown direct into the grown and simply thinned. 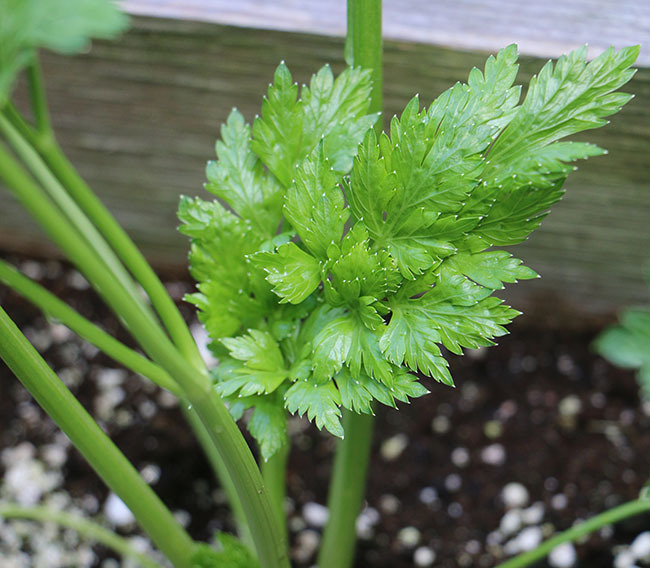 'Titan' is a unique flat-leaf type of parsley that all the top chefs want from their specialty market grower. We just don't know about it yet. It has smaller, crispier and thicker leaves then any other flat type, and it is sweeter and very tender. So useful, with a nice flavor and thus great in the kitchen. I am addicted to it but you'll have to raise this one from seed. There are a surisingly lot of named parsley varieties out there, but few offerend in catalogs for the home growers. Johnny's Selected Seeds seems to offer the most but also try European catalogs or commerical farming sites. Wholesale growers grow quick crops of varieties like 'Decorator', 'Moss Green', Sherwood' and 'Forest Green' -- they are primarily growing parsley for how it ships and looks however, and these are varieties most common in northern California, Texas and Florida where parsley crops are sown three time a year, year round. Try these instead of just plain 'curly' or 'flat leaved'. 'Darki' is one of the curliest of they new curly parsley's. It's a premium variety much nicer than any other including 'Moss II'. Grown in containers it's practically ornamental, and chopped in salads or dishes, it's un-equalled. 'Darki' - which OK - I admit sounds a bit racist but only you have the complexion of a dark green alien perhaps, as this is a spectacular curley leaved parlsey variety that I first heard about from a chef who asked me if I grew it. It has exceptionally curly leaves which almost look like mounds of green moss. No kidding, but most of all it is tender and curlier than most 'moss' varieties. 'Peione' is a large, Italian Flat-Leaved type with beautiful, large leaves and crispy stems. The plants are large and require a deep root run. 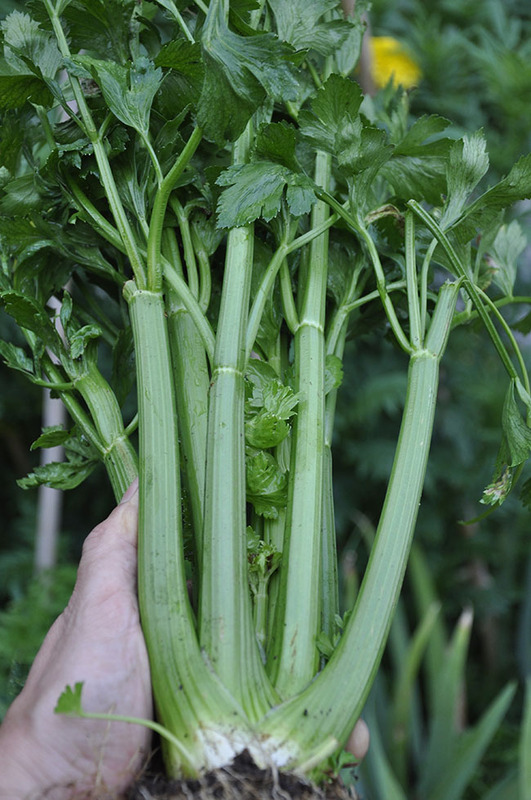 'Peione' - This flat-leaf type is an improved 'Giant of Italy', a selection of flat-leaved parsley which already was popular with chefs and gardener as the plants grow almost as large as small celery plants and seem to last better in mild winters, but 'Peione' goes a step further by adding disease resistance especially powdery mildew which can ruin a crop in the Northeast. I should mention that leaves are of a higher quality. 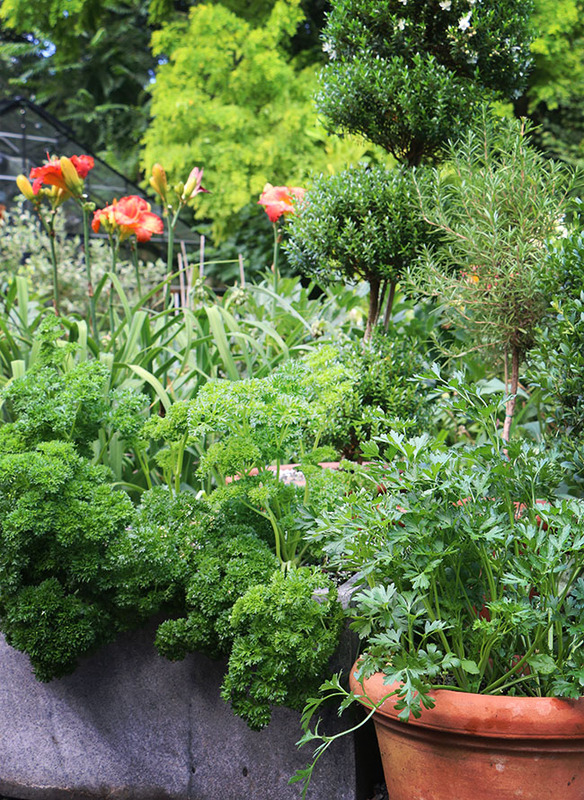 gardeners who cook will want to grow multiple varieties of parsley as each has their use in the kitchen. 'Titan' - While another flat-leaf type, this makes a spectacular container plant as well as a fine culinary variety. Titan as smaller leaves - much smaller than any other flat-leaf type, and I find it to be crispier, or thicker-leaved which makes it perfect for chopping and slicing into dishes. The flavor is almost sweet which makes it a better choice for use as a fresh parsley. Other varieties include 'Pagoda' grown for it's longer stem, 'Extra Triple Curley Frisca' which like it's name hints at, is extra curly. 'Krousa', a triple-extra-curly variety introduced for home growers, 'Optima', 'Clivi', 'Prezzemolo', 'Laura' and the large leaved Italian varieties which are often sold with elaborate Italian names. Some growers separate the curly varieties into groups based on their curlyness, referring to them as 'garnish vaireites'. They are Double-Curled, Triple-Curled (like 'Paramount') and Multi-Curled or Super-Curled (like 'Lisette'). My point here is why settle for growing a plant that has a label that just says ' Parsley'? Am I an adventure junkie? Not exactly, but I do like travel, different cultures, world travel as well as plants and most of nature (except snakes), so any opportunity to geek out with some friends on a single genus is an opportunity I am going to jump at. 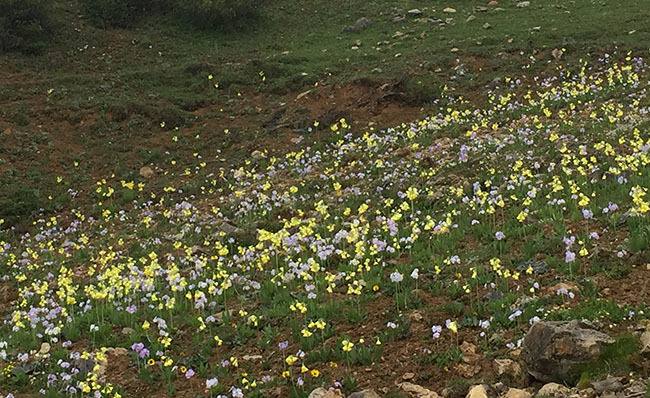 In this part of northwestern Yunnan there are a number of plants one could possibly geek-out on like rhododendrons, corydalis, lilies or wild orchids, but really it's the primroses that brought me here. 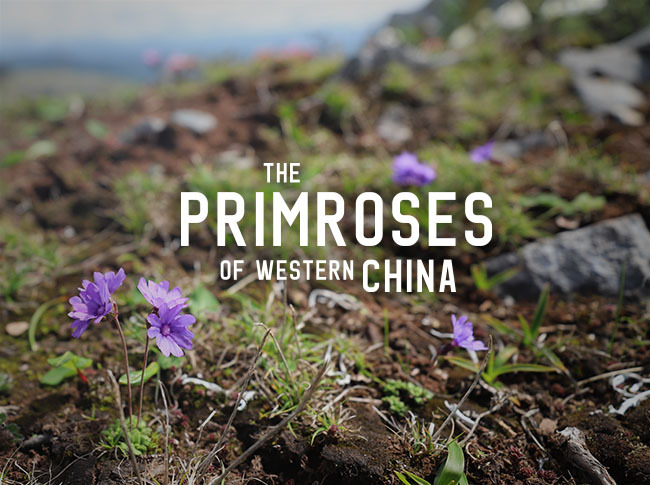 Half of the world's wild primroses come from the vast landscape of the Himalayas, with 500 species worldwide, at least 300 of them are found in this mountain range and over a hundred in Yunnan. 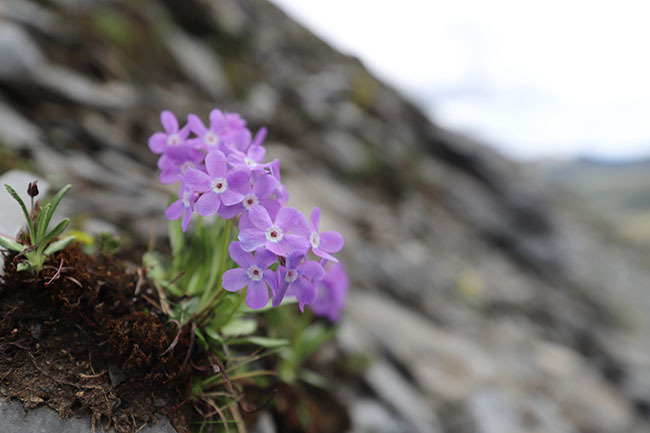 Since primulaceae is one of my most favorite plant families, I wanted to dedicate a single post to just primula that we saw on this trek, so here you go. Fair warning though - the names are still being worked out, I only have a couple of good books to key out what we found, so if you're an expert, feel free to correct me and I'll credit you. Aside from that, enjoy the shots! 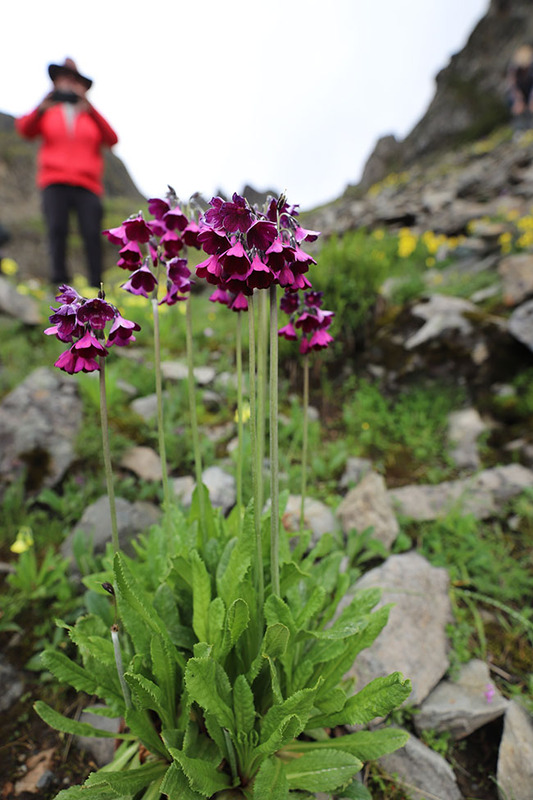 The tiny and lovely mat-forming Primula nanobella, here on the top of Shikashan, elevation 14,000. 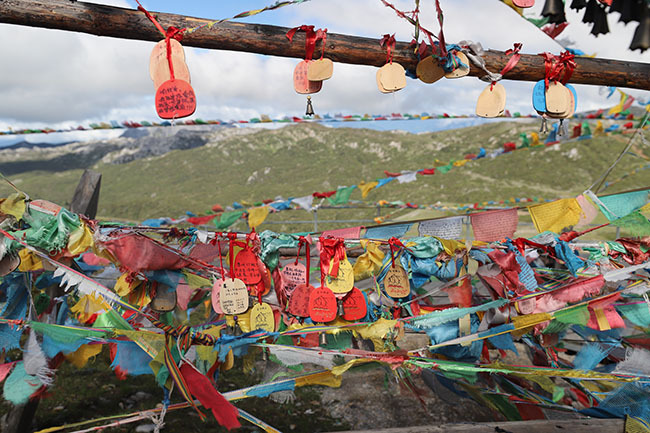 We saw this on the high mountain tundra found on many mountains from Shangrila, going northwest to the Tibetan border. Growing no higher than 3 inches in some places it virtually covered the ground. The tube or 'mouth' is filled with fibers or a pom pom of tiny lavender hairs which make the center of the flower appear blurry or congested, an interesting feature that liked to freak out my camera as it focused. 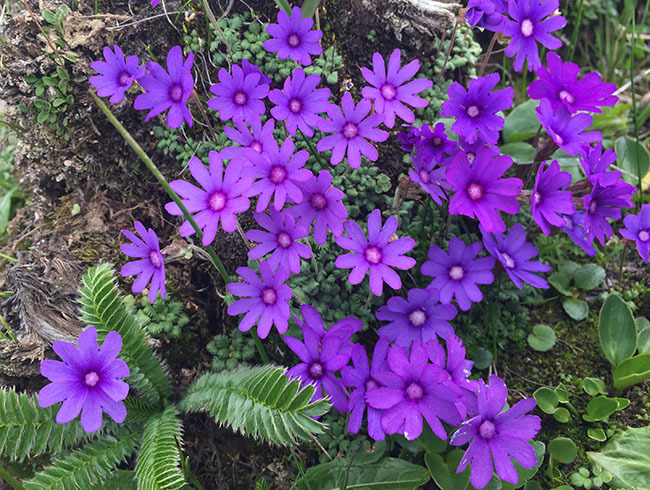 The singular flowers of P. nanobella arise from the tiniest rosettes, no larger than a thumbnail, and as you can see, their color was practically a florescent violet. I shot lots of videos as well, which I hope to edit into some project in the future, or just to show at future talks, but this tiny primrose was very animated as the wiry stems ensured that the flowers would bounce and wave in the strong winds. Another view of what I believe is P. dryadifolia. I just can't find a good image in any of my books. 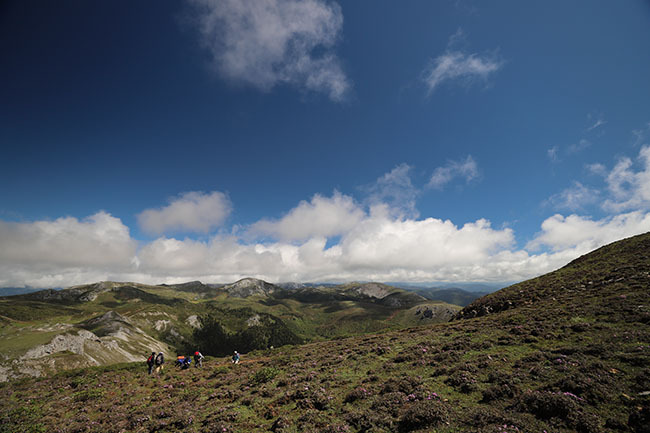 Here is a view of our group botanizing in an open alpine meadow on Shikashan (or Shika Shan, as 'Shika' means deer, and 'Shan' means mountain). 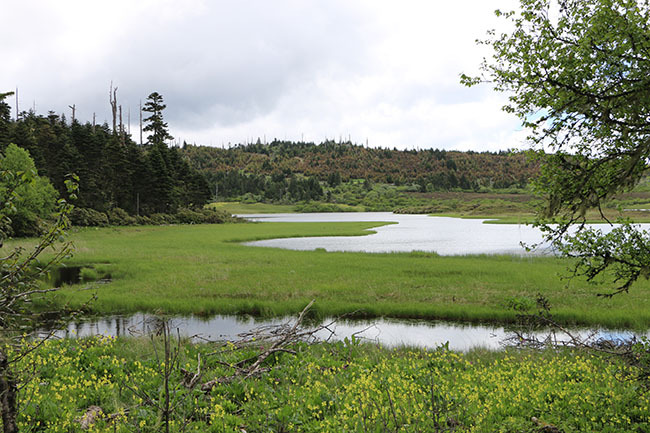 This meadow was full of primroses and that low shrub you see blooming is rhododendron. PRimroses in the section Muscarioides look somewhat like the Dutch bulb Muscari. 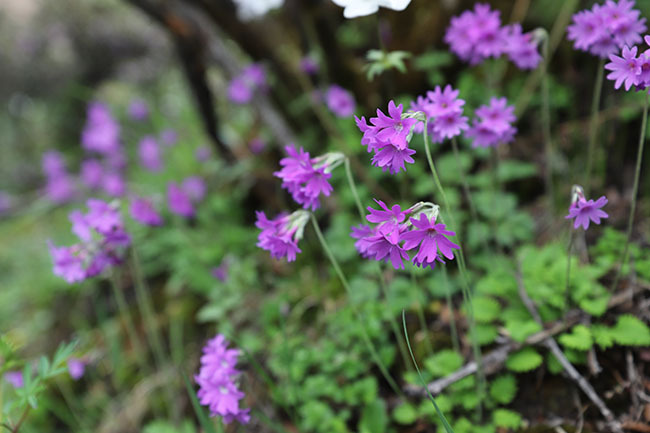 Primula amethystina subsp. 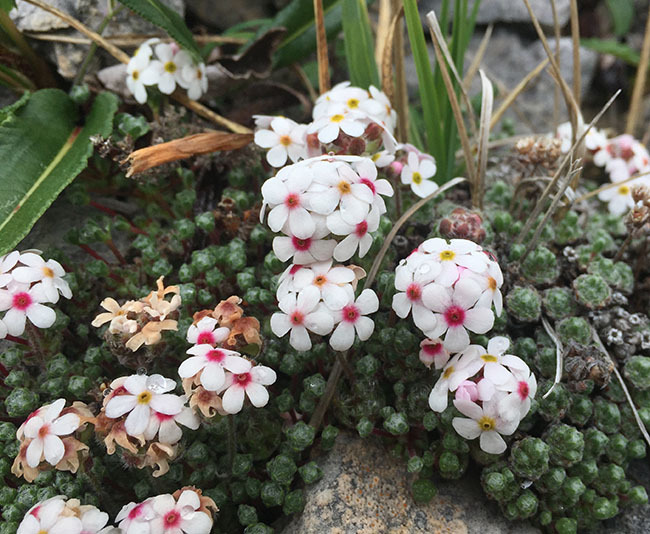 brevifolia on Shika Shan, Yunnan, China. 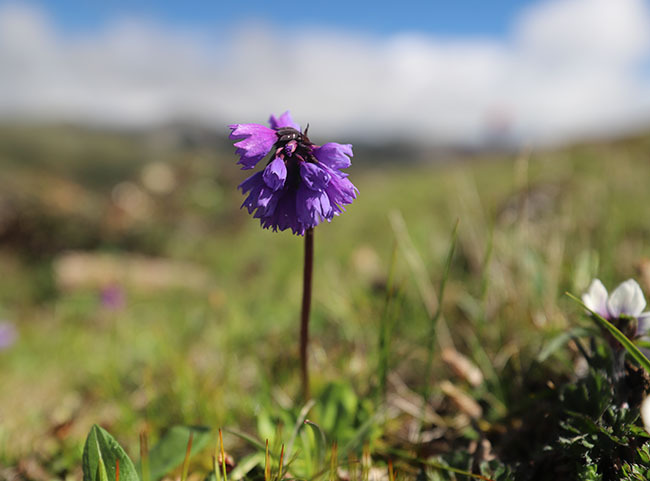 Primula apoclita, Yunnan, Zhongdian, Shika Shan near 14,000'. 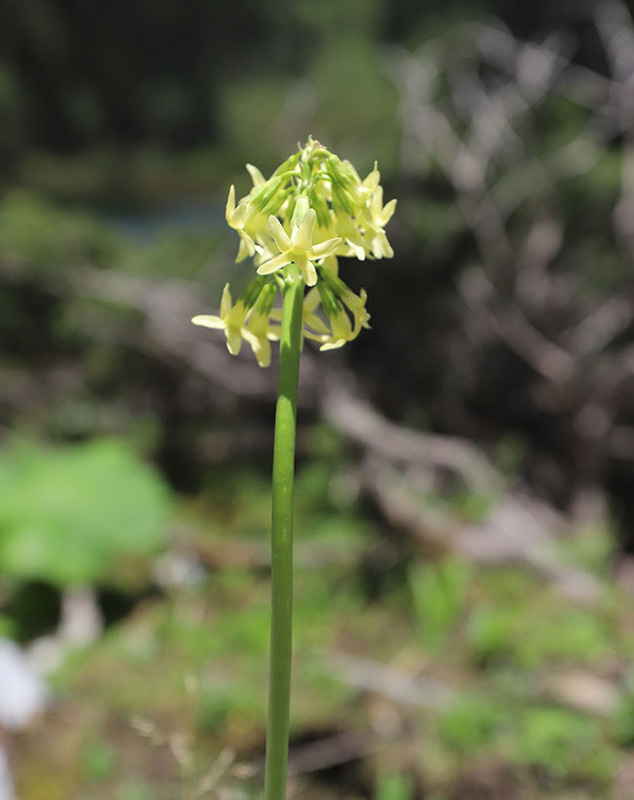 At lower elevation this may be the same species but at 12,000' more elongated. One of the mystery primroses. Please share your ID notes if you think that you know which one this is. Shika Shan, NW. Yunnan around 12,000'. 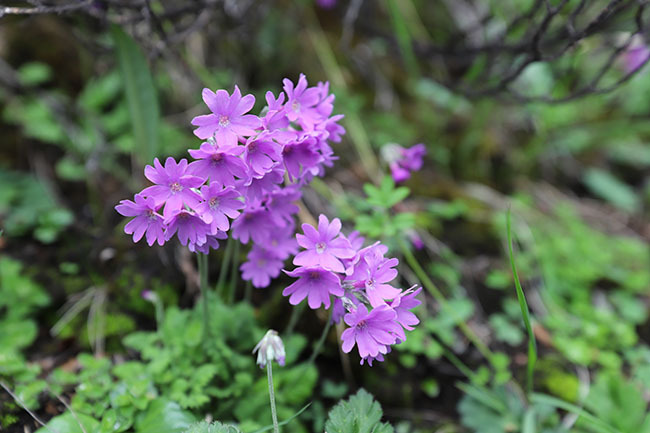 More Primula chionantha subsp. 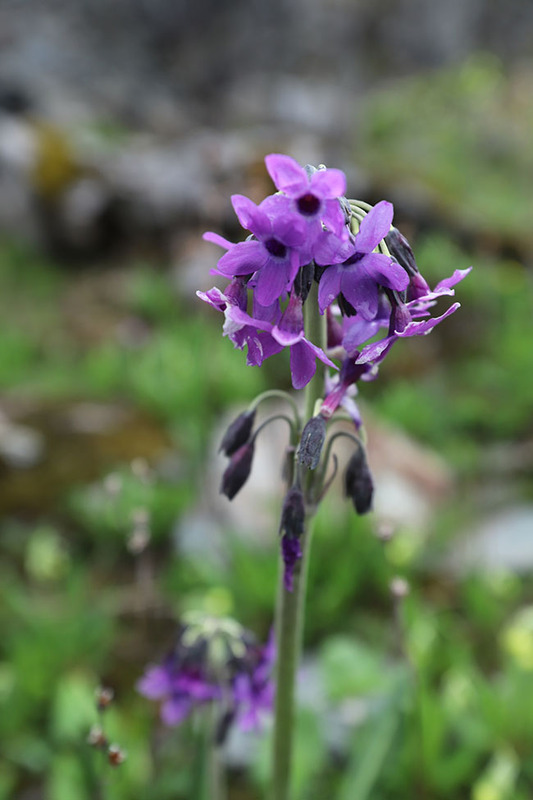 sinopurpurea but shorter, as this is at high elevation on the summit of ShikaShan, 4400m. 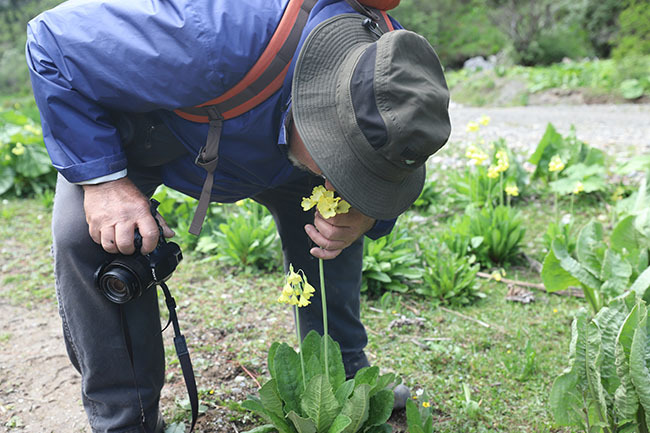 Getting familiar with a nice specimen of Primula chionantha subsp. sinopurpurea. I know - I look bulked up -No fat shaming allowed, I just should have removed the two sweat shirts I had on under my rain gear -- it was cold! 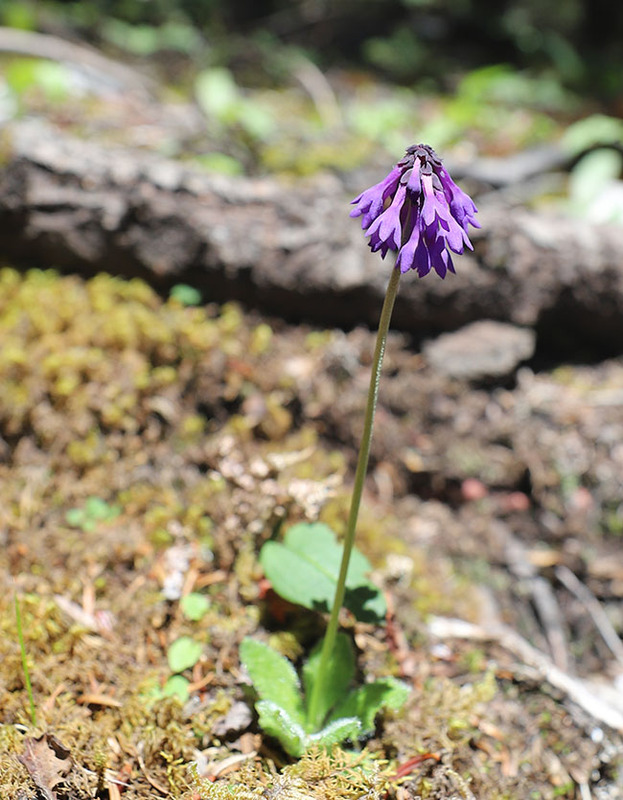 P, chionantha subsp. sinopurpurea on the mining road leading up to Hong Shan. 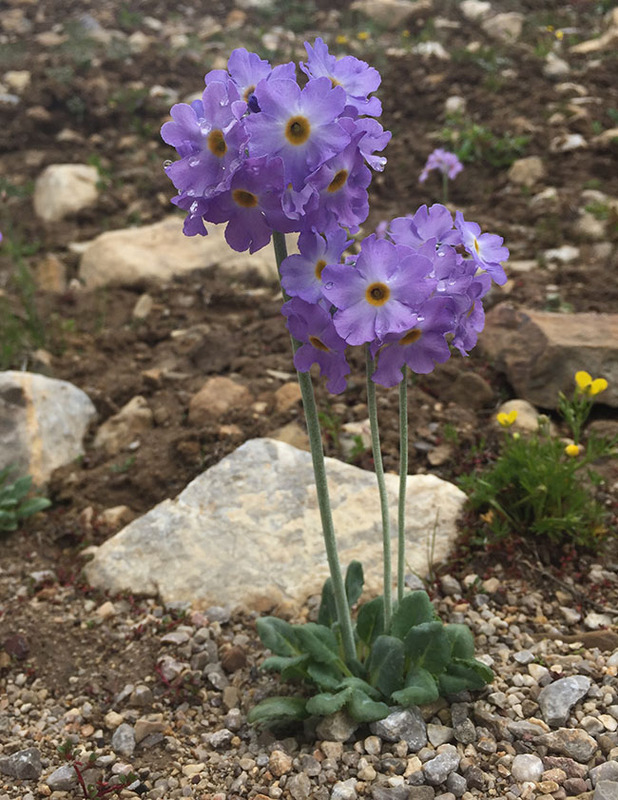 Primula secundiflora, near the pass at Hong Shan, 4500 m.
A closer view of P.florida or P. yunnanensis. Please correct me if you know which species this is. My eyes are getting tired, but I cannot seem to ID this one...any ideas? 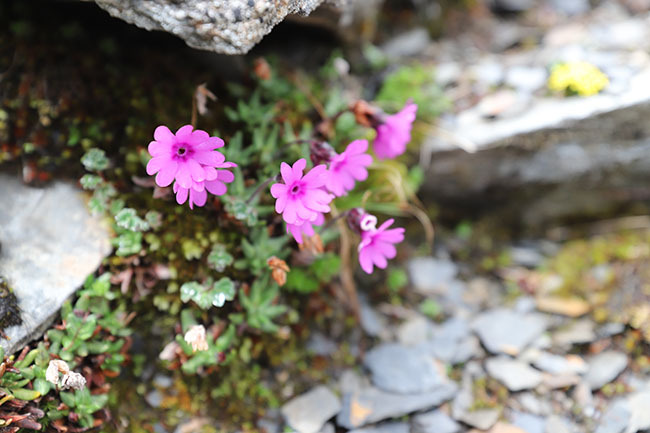 P. sikkimensis , perhaps var.pseudosikkimensus however, this was at high elevation on Shikashan at 14,000' and not on Yulongxueshan in NW Yunnan where the variant is presumably limited to at high elevation. 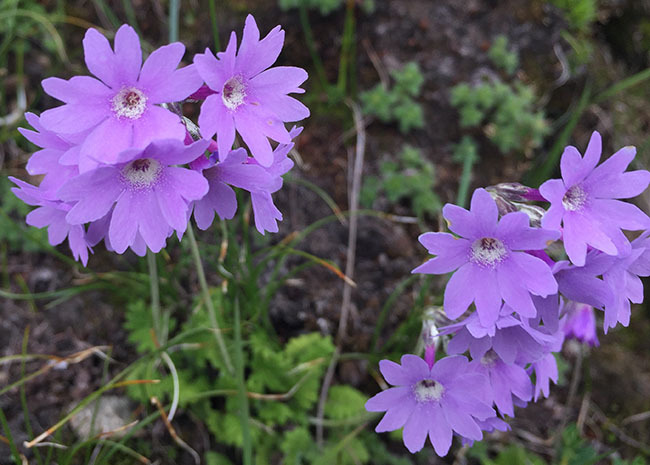 The large blossoms and short stature at high elevation make it difficult to ID. 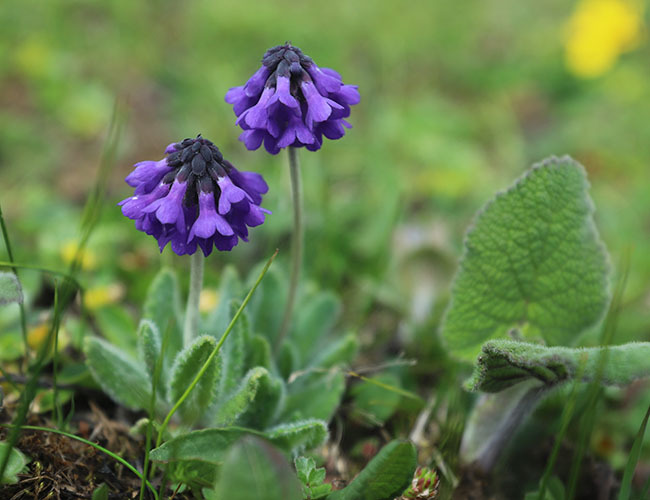 I welcome thoughts from the primula experts. 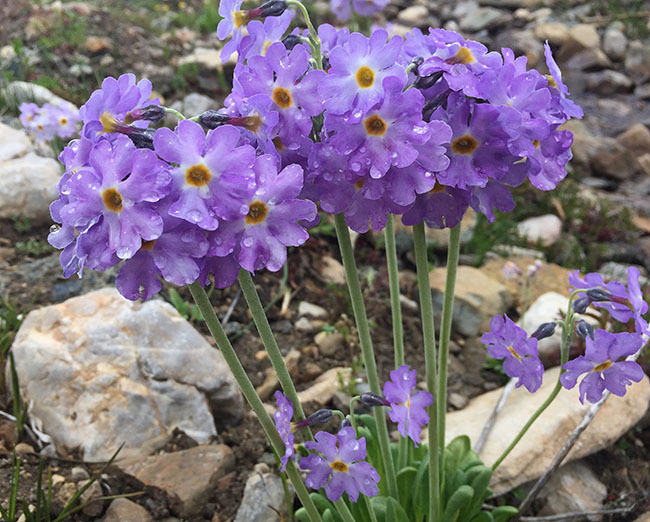 Of all the primula species it is this beauty, the fragrant (as Panayoti Kelaidis From the Denver Botanic Garden demonstrates here) Primula sikkimensis that really puts on a show as it often forms great colonies both at high elevation and above 9,000' throughout this part of the Himalaya. We found spectacular colonies near streams and seeps throughout our trek. 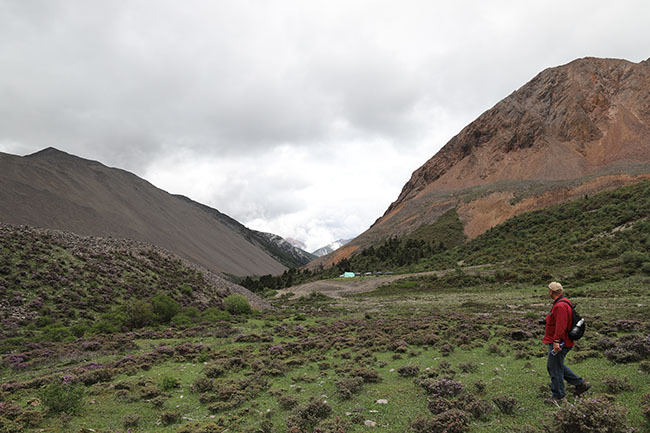 At high elevation, such as this stream bed on Hongshan near 15,000' the colonies stopped us in our tracks. But near alpine lakes, the show often became truly spectacular, such as this colony nearly 1/8 mile long at Tianchi lake 3850m. Even trying to capture an image that would show the immense scene was challenging. You can see how dense these were growing. Just amazing, as I begin to run out of adjectives. The massive colonies of P. sikkimensis extended around the lake. 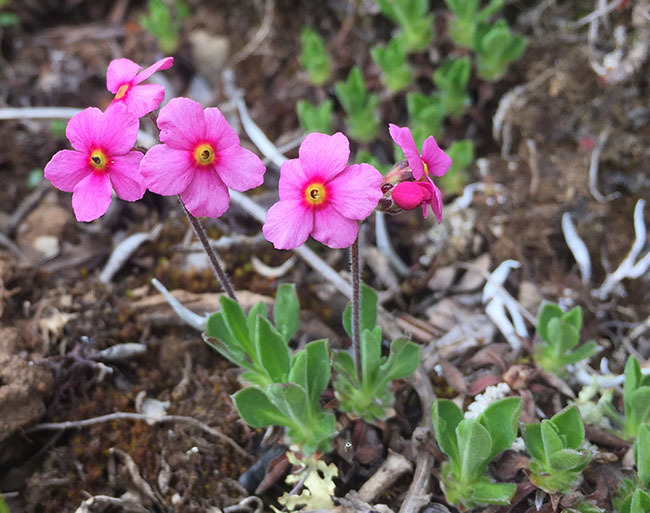 Another colony-forming primrose is this pink beauty, if only we could grow it here in New Engand! 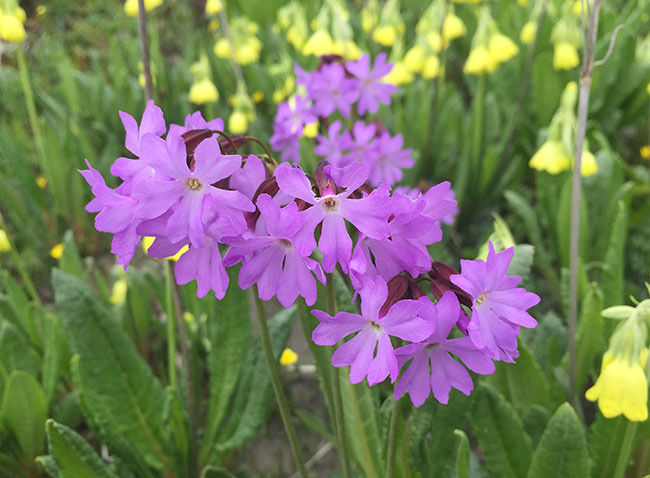 Primula secundiflora is just another one of those Himalayan primroses which most of us could only dream of growing, yet here it grows in abundance, often forming large colonies near streams and wet bogs, deceiving us all with its weedy appearance. Don't taiunt us P. secundiflora! 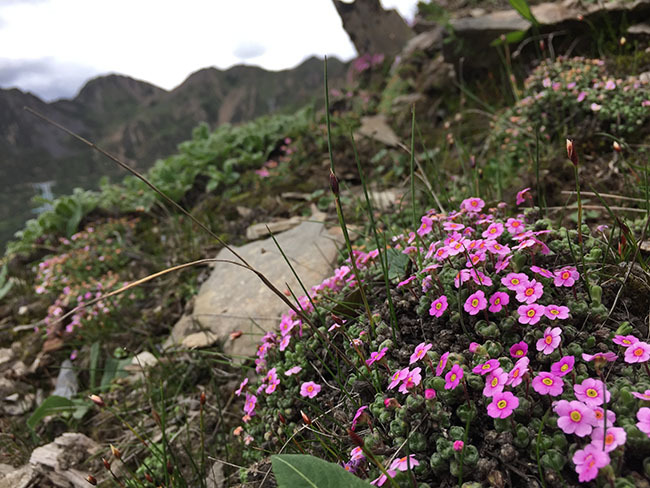 We came across colonies of P. secundiflora everywhere, but mostly between the areas around Zongdian (Shangrila) and Baimashan. As you can see, some of the colonies were massive and every where one looked, there were thousands of plants. And then this happened. 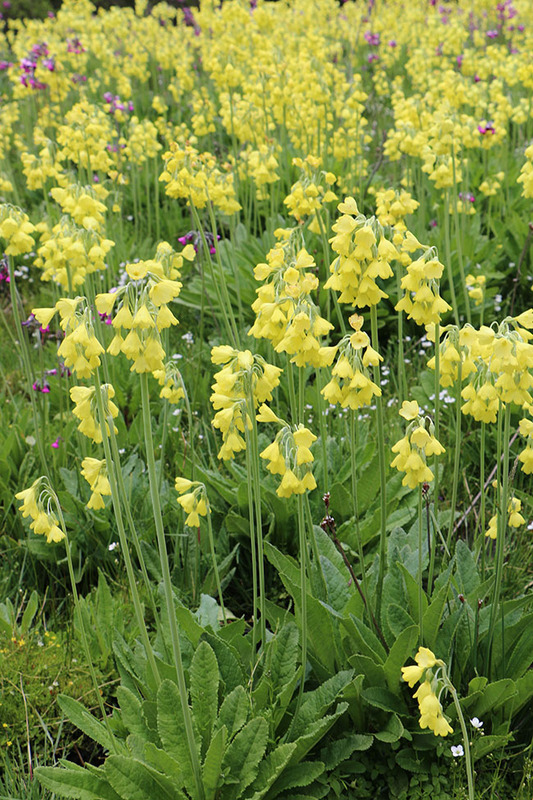 Primula overload once you mix it all together. So if you garden designers believe that yellow and magenta cant work together, don't tell Mother Nature. 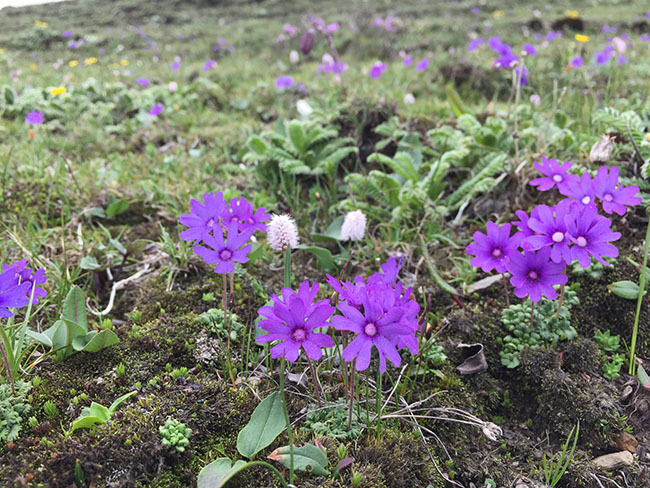 Both Primula secundiflora and P. sikkimensis growing on a wide seep at Tianchi Lake which is still at high elevation near 3800m. There were millions of them. 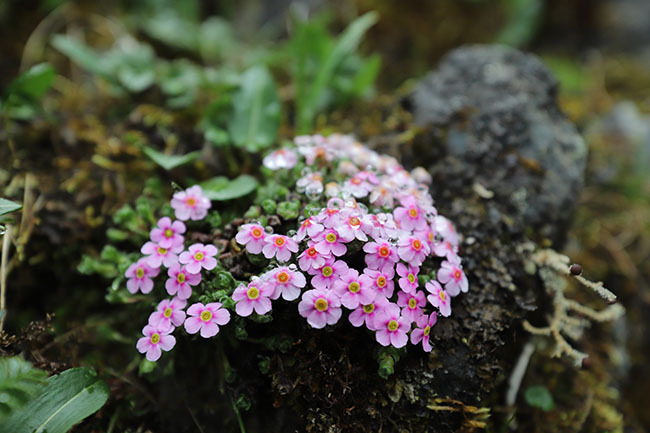 Other primroses colonize as well as if the above experiences weren't enough. 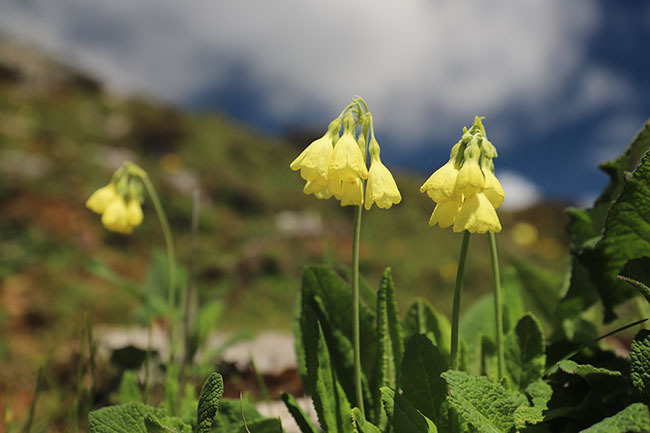 Here are at least three species of primroses, maybe more. 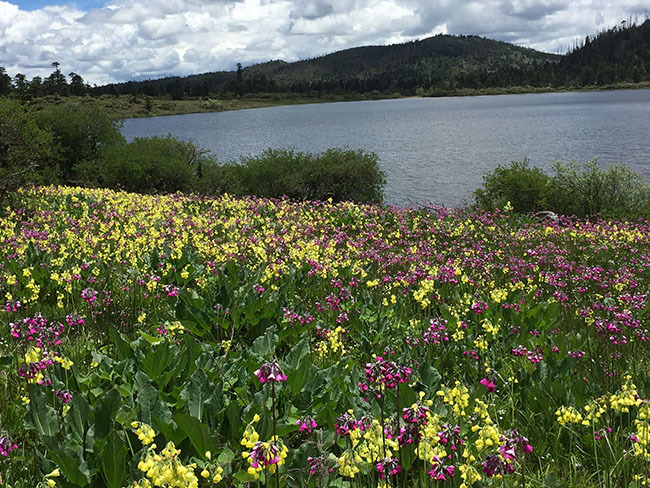 Most of the color in this meadow comes from the pale yellow P. sikkimensis and the pink P. zambalensis. 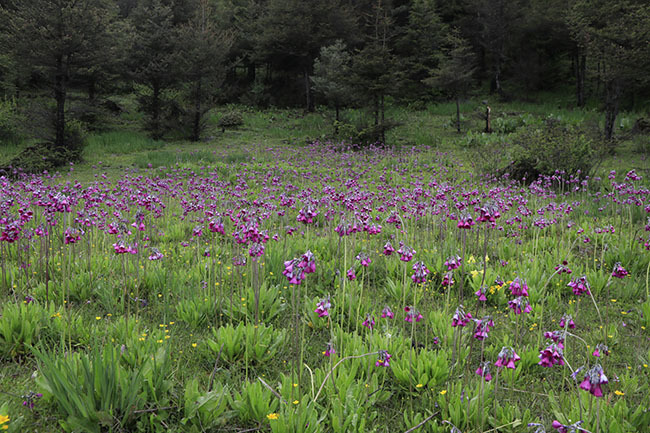 Colonies of P. zambalensis around Dechin and the high passes of Bai Ma Shan were quite variable, with some completely white and every shade of violet-pink inbetween. 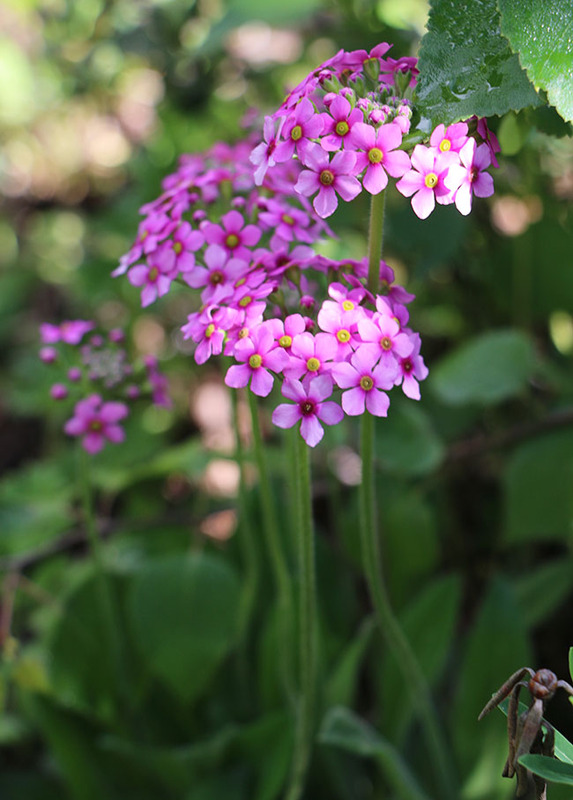 Every plant of this primula looks like a perfect pot plant. Here is one of the nearly white forms. 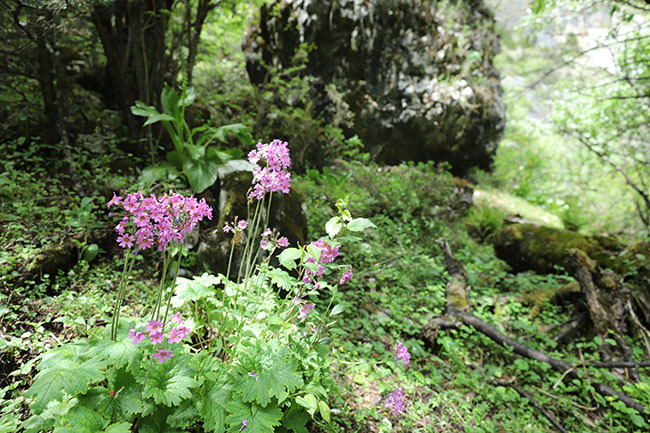 At lower elevations, if one can consider 11,000' low, we found primula in the woodlands. Here is P. polyneura on Baimashan. P. polyneura with its wiry stems and delicate blooms in a woodland. 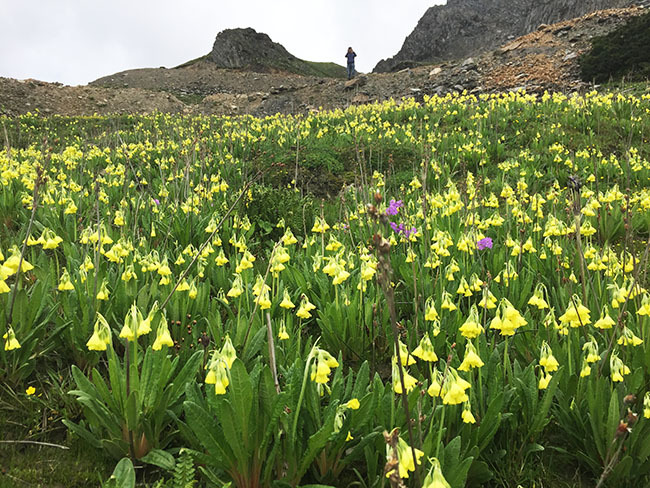 Scott Smith from Colorado treks across a high elevation pass loaded with tiny rhododendron in full bloom and even more primroses. 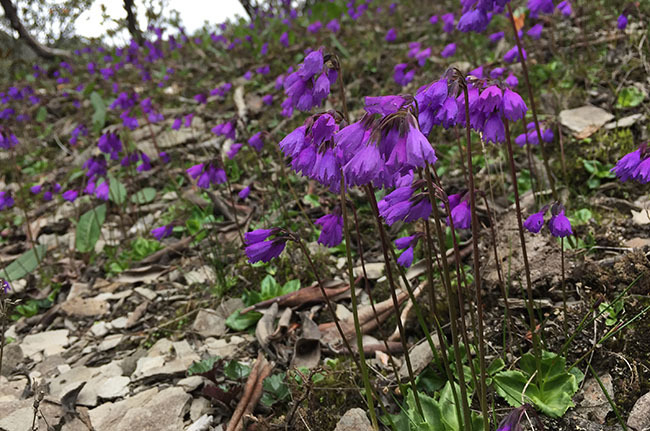 The ten of us were starting to get tired on these last few days, but all it took was a single sighting of another rare plant to get us climbing high. This day we went the highest, up to 16,500'. 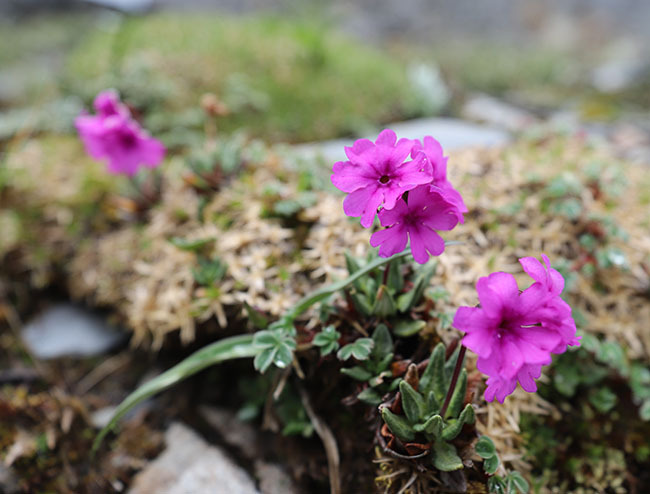 Throughout much of this area were other genus within primulaceae, so it makes sense to me to include a few from the genus Androsace, as they are so closely akin to primroses. 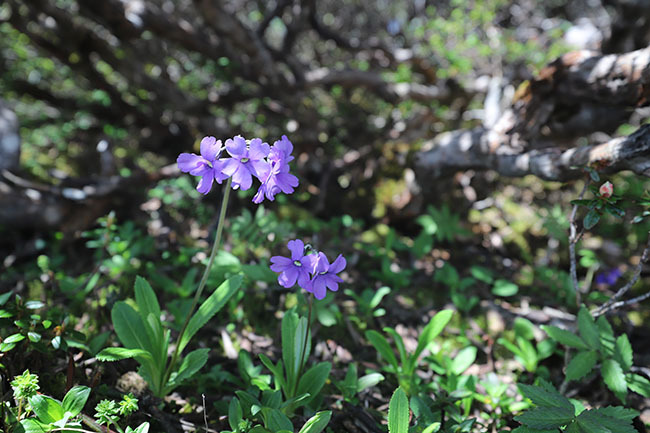 Androsace zambalensis (my guess). Please correct me. I probably shouldnt be covering Androsace, as I am not getting the names right, but I dont want this to hold up a post. 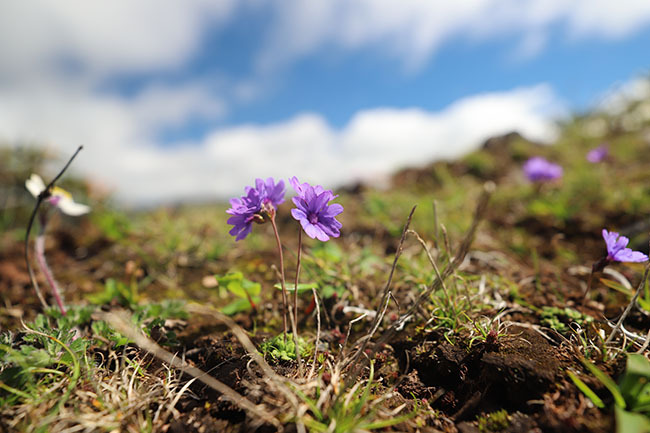 This possibly is Androsace delavayi. 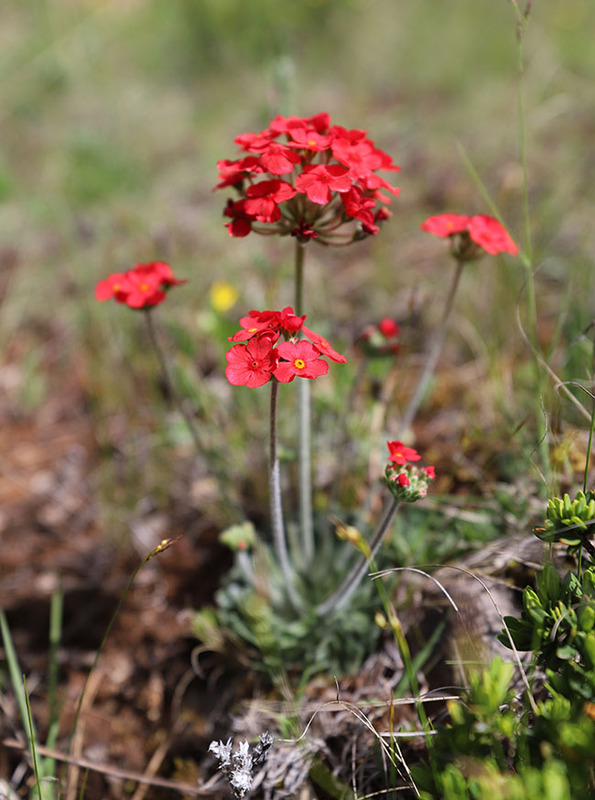 Many Androsace form rosettes or even tight buns at high elevation, but this one doesn't. Perhaps A. mariae. 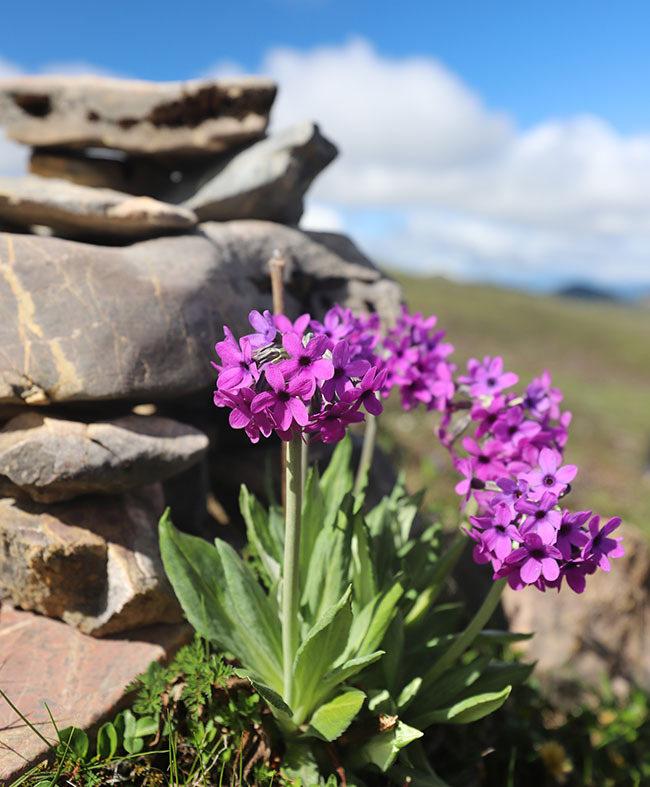 Perhaps the most lovely Androsace is this one we found on a knoll just above the Zhongdian plain, A. bulleyana. 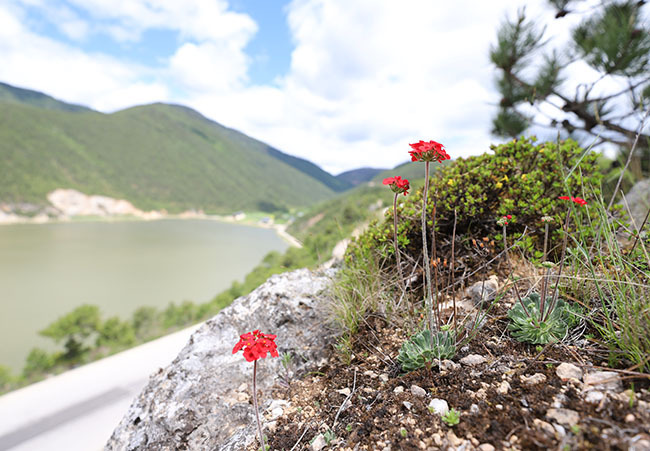 Just above the road the encircles the great plain of Zhongdian in Shangrila were large colonies of this bright red Andnrosace. 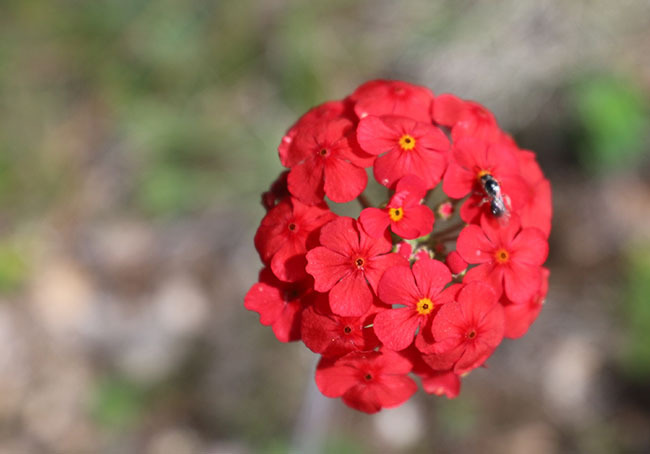 It forms tiny rosettes and long, wiry stems topped off with bright red umbels. Androsace bulleyana in full sun growing in grass. 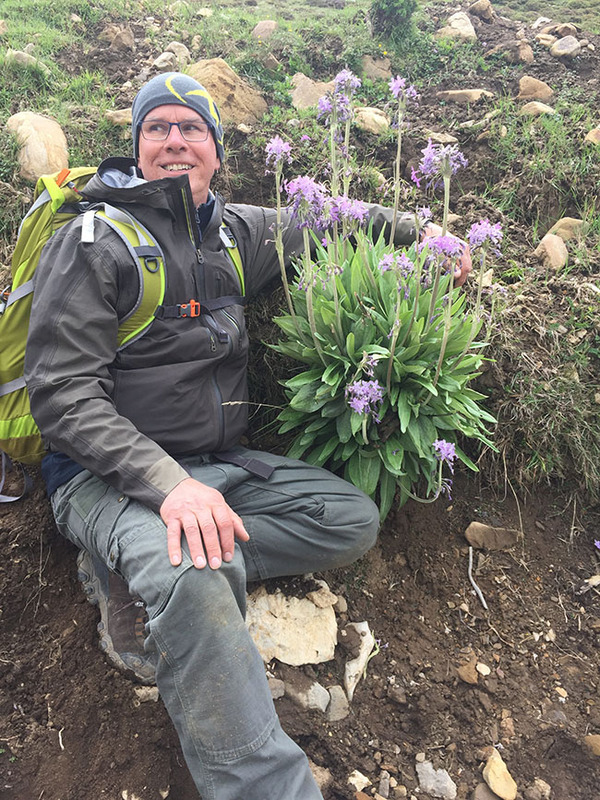 As you can see, primulaceae were found at all levels and in every location here in Northwestern Yunnan near the Tibetan borderlands. 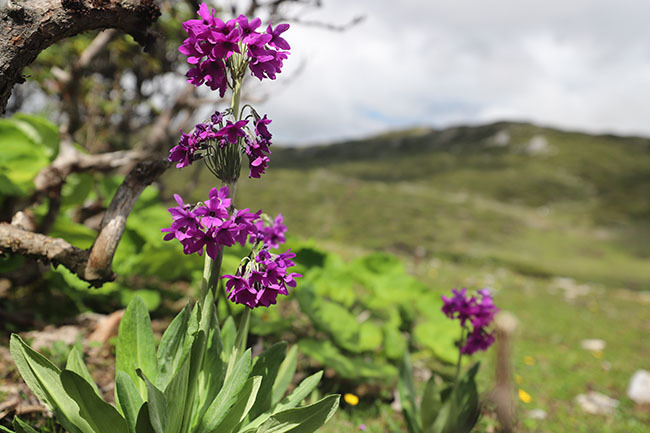 Truly a primrose-rich area and a sight few plant people ever get to see as most plant collectors collect in the autumn and not during the bloom season just after snowmelt in late spring and the Himalayan summer in June and early July.